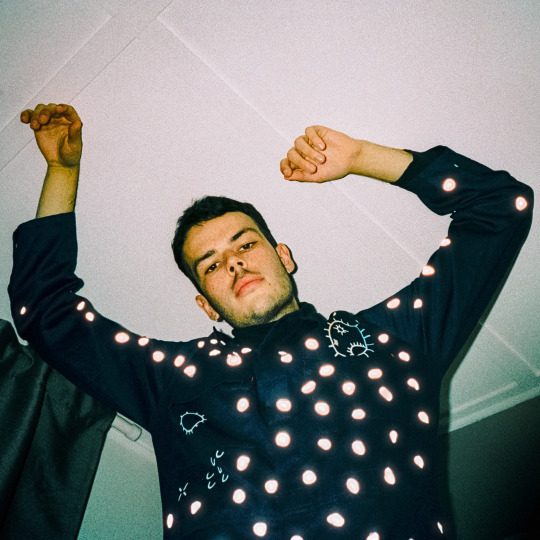 Golden Vessel, the Australian up and comer with an addictingly chill sound, has a carefully-curated vision for his music. His release “Hesitate,” earlier this year garnered almost 6 million streams on Spotify alone, and the following single,“BIGBRIGHT,” features the likes of Elkkle, E^ST and Duckwrth. Not to mention, the accompanying video is up for “Music Video of The Year” at the 2018 Triple J Awards. As he gears up for his forthcoming North American Tour with BAYNK, he’s keeping his fans on their feet with “Moonstone,” a glittery electro-pop track with a video that’s over the moon if you ask us. Directed by Harry Deadman, the video for “Moonstone” is creativity at its finest. Golden Vessel first appears emerging from a DIY Spaceship, a reference to the moon landing, complete with a camera crew dressed in early-70s fashion and a boom operator with denim short-shorts. 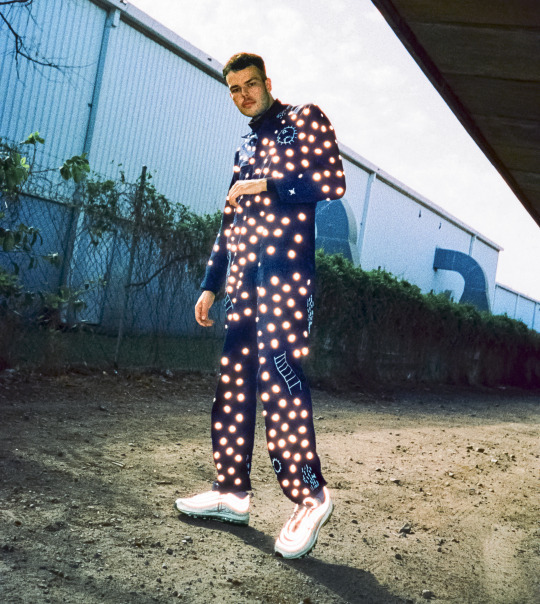 Golden Vessel dances around the set, slowly gathering an armful of colorfully painted “moonrocks.” The video features a guest appearance from Mallrat, and she may or may not get in a laser gun battle with Golden Vessel. Check out “Moonstone” now and peep Golden Vessel’s upcoming tour dates below. We hear the show is out of this world.